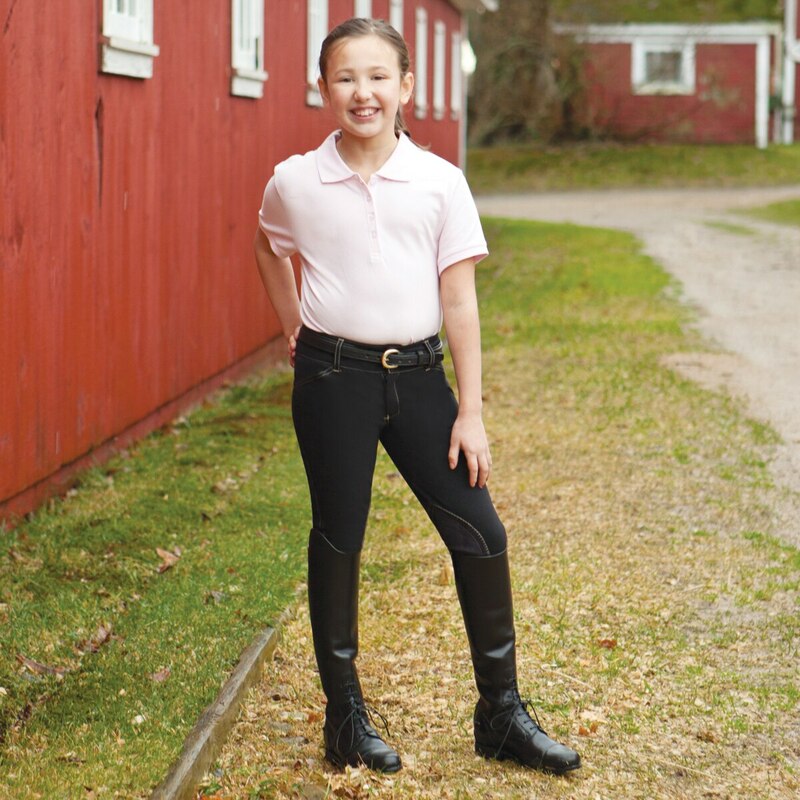 The Equine Couture Sportif Natasha Breeches offer comfort and style with contrast stitching and the Comfort Sock System leg bottom, which is made to fit any leg length. Equine Couture Sportif Children's Natasha Breech is rated 4.3 out of 5 by 3. Rated 5 out of 5 by Ks62 from Awesome!! It is a great breech, great colors, and love the style of it!! Rated 3 out of 5 by hunterqueen12 from I have had these breeches for almost a year, and the knee patch stitching has come apart. They are very comfortable and fit me very well. They have been the only breeches that have been long enough to fit my long legs. As long as you don't mind replacing them every year, they are wonderful! Rated 5 out of 5 by Omegalove from <33333333333 I loveeeeeeeeeeee these pants!!! They fit perfect! They do run a size small so i got the larger size. I highly recomend these!! although i have the tan color!! !